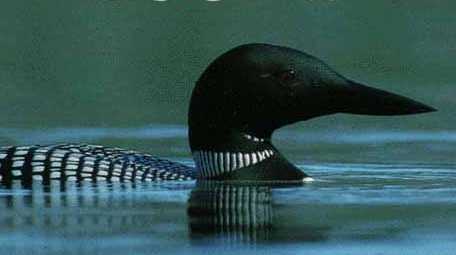 or as the British call him, the Great Northern Diver. Mom, Pop, and the kids. 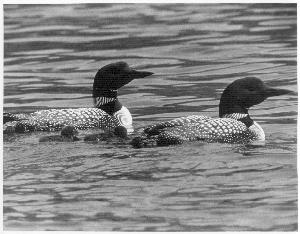 Loons need a long running start to get aloft, but are VERY strong fliers once airborn, and migrate long distances. 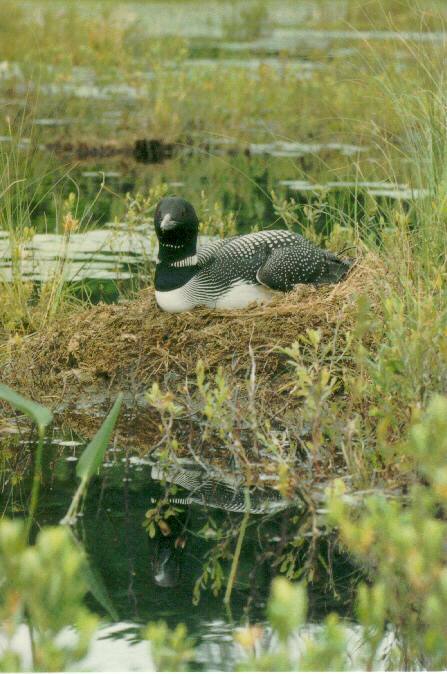 And here's another loon call in .wav format (it takes a minute to download). And another - loon call # 2. And a third - loon call # 3. 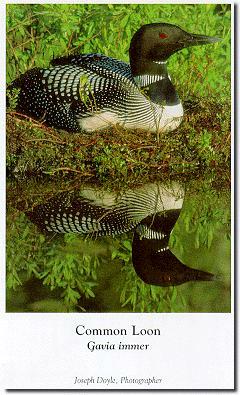 Or try here - Canadian Lakes Loon Survey.